And it appears Stephanie's evening isn’t much better. 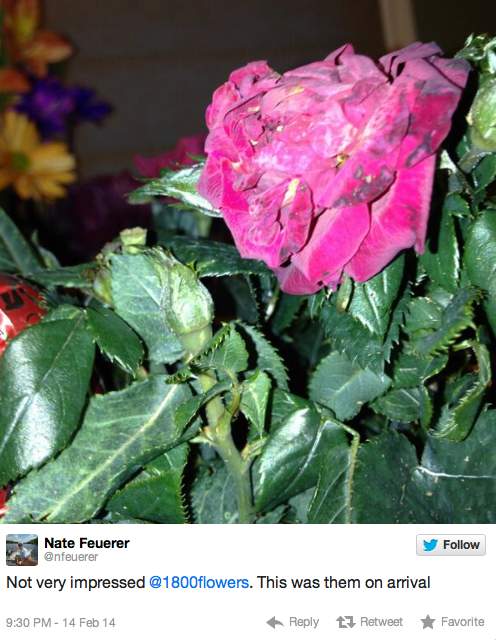 What a disaster….and it all played out publically, unfiltered and globally. I can only imagine the Execs pounding their fists and heads. But while I saw this roll out, while looking at my own beautiful bouquet of flowers (which came from @proflowers, which had their own issues, but handled them beautifully) I thought about this from an insider’s perspective, that of the Fulfillment Logistics Company. This can, and does, happen to any organization that sells and fulfills product. Especially, when delivering on that promise is, in part, controlled by an outside vendor (in this case, USPS or UPS and floral suppliers) or Acts of God (i.e. : the mother of all snow storms.) It’s a given in the Fulfillment Logistics Industry. But what the major and I underscore major mistake here was a classic case of the mismanagement and complete lack of communication of expectations and impending doom. 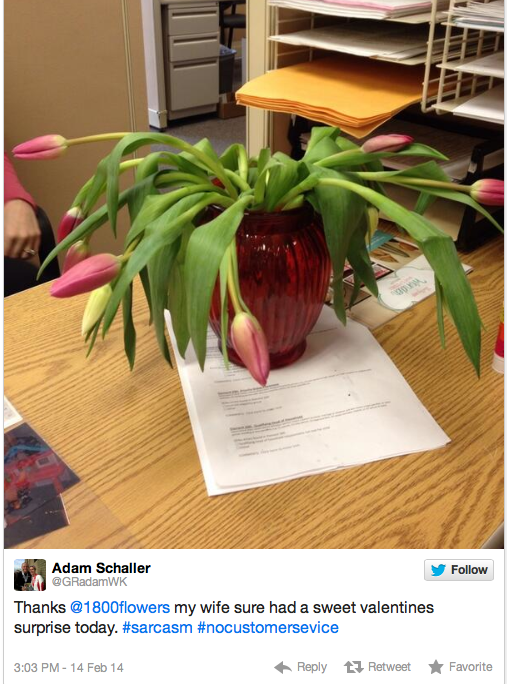 Look, I realize that Valentine’s Day is a huge day, and I realize that it was coupled with a pretty big snow storm which affected not only the ability for floral suppliers to get their product to distributors, but also for the shippers to get their product to the customers. And I also realize that at the end of the day, this doesn’t mean a hill of beans to the customer when they have paid for and expected perfection. 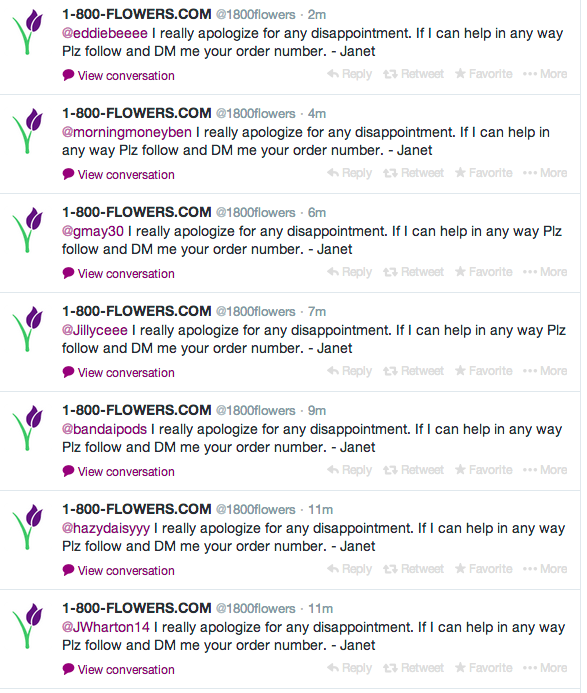 It’s easy to play Monday Morning Quarterback, but this lesson in communication isn’t a hard one, especially for a seasoned company like 1-800-Flowers. In the Fulfillment Logistics Industry, everything is managed around communication and expectation. When you, the customer, place an order, you inspect the product, whether that’s online, in a catalog, in a store. Next, you are told exactly the turnaround time for when you will receive the product and how much it will cost to get it to you. You then, most likely, receive various emails and notifications telling you the status of your order and confirming your order which also include various pictures of your product. The order processing cycle is pretty set in stone. The order starts, it’s fulfilled and then it ends. In our industry, your day, week and month, is set on cycles that surround weather, shipping company labor disputes, postage increases, etc. Outside of a terrorist attack, you have a lot of tools to plan ahead and manage customer expectations. 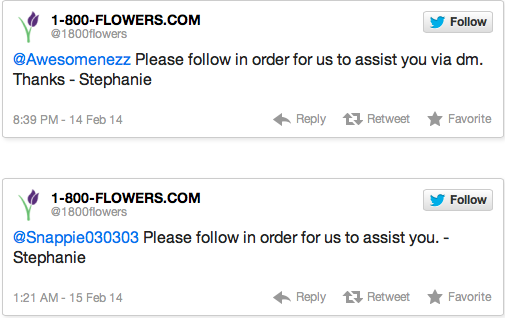 This is what makes the 1-800-Flowers issue so egregious. They knew it was their busiest time of year, they knew about the impending snow storm and while they may have attempted to plan for it as any good Fulfillment Company would, they failed. And when it did fail, they closed ranks and left their customers thinking the work they were producing was acceptable when they knew it wasn’t. A simple email, tweet or phone call to the customers indicating the delay in shipment, or the fact that due to lower quality of product, the arrangement may be smaller, accompanying a refund for any additional charges, would have gone a long way in communication to the customer base, you knew of the problem, you knew it wasn’t up to the promises of your brand and you were addressing it. To go from Good to Great, I would have also added a coupon code to be used for their choice of one of three preselected free arrangements to be sent at a future date. Recent estimates state that over $1billion in gift offers and cards go unredeemed, so the perceived value and what is gained in customer loyalty is more than what would ever be lost. Sure, you still would’ve received your fair share of upset customers, but you were managing expectations—you were ahead of the wave and you were doing everything you could to mitigate the damage and being transparent. There are two guarantees in Fulfillment Logistics: Problems and crises are guaranteed to happen and most likely at the most inopportune time; Being silent on either their impending doom or sweeping it under the rug will never result in a satisfied customer or client. 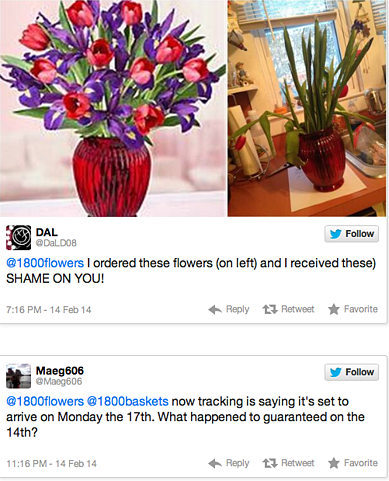 What might have the tweetersphere looked like for 1-800-Flowers the evening of the 14th, had they not hid the broken vase in the basement? Want to know more about how to have fanatical customer support?